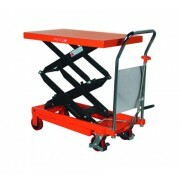 - Always the correct working height. 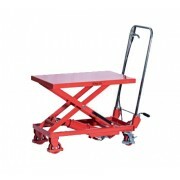 - Steel construction with platform made from sheet steel, chrome plated handle. 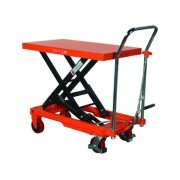 Scissor lift tables provide an ergonomic solution to lifting positioning and transporting heavy loads. 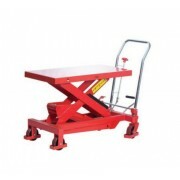 Foot operated hydraulic lift pump raises the platform to any height within the lift range to reduce rick of injury from lifting and bending.